- FIT DOORS: Backset 2.16〃(55mm),door thickness between 1.18〃(30mm) and 2.16〃(55mm),we suggest asking Locksmith to install this lock. - Know who comes and goes. A 24/7 activity log tracks who enters and exits your home. With unique key for each user, you'll always know who opens your door and when. 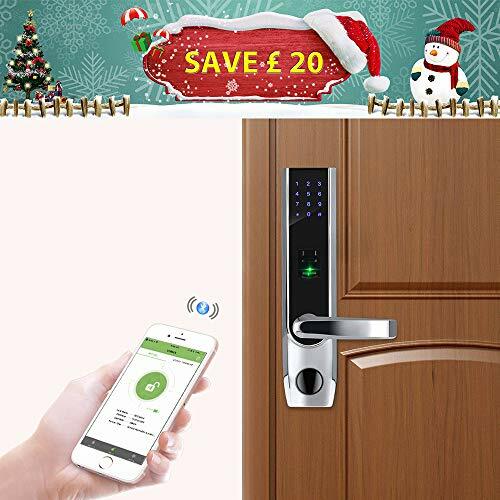 - Convenient: share codes anytime and anywhere, voice guide with adjustable volume, back up key for emergency, bluetooth 4.0 provide less consumption.